- Best Character Designs: Masaru Kitaru from Madhouse. - Best Original Song: “Tonight, Tonight, Tonight” from Beat Crusaders. In a way, their picks are sad options. "It's because you exist.. That I'm here right now.."
'sigh' all mainstream. Not surprised actually. I think death note is great of course. TTGL is way to overated in my opinion though. As well as Bleach, Naruto and Lucky star. Glad the girl who leapt through time got the best film award at least. lol, the best Japanese voice actress voices a guy. Talk about a popularity vote. The SPJA is a non-profit organization which purpose is to bring good anime into the light of the American public. Because the US anime fans most certainly have no idea of the existance of those titles, I bet. Unless their intent is to target "fans" that know only 1-5 anime and manga titles, then it's not even worth saying this list is awful. Haha, I like "Best Mascot". Very overrated as usual. I'm happy for Junko, Kappei, and Kyle...I guess. Me too. I find it hard to imagine a CLAMP work to equated to best "action".. Seems like "good anime" = "hyped / totally overrated anime". Newsflash, most anime here is watched by kids. Drawn images will never be taken seriously as a good medium to portray good stories, despite most anime being much better then ANY movie i've ever seen. She won for Naruto, not anything else. It obviously helps to voice a mainstream anime, which is ridiculous. Up, Toy Story, Lion King, Wall-E and some others would like to have a word with you. The problem isn't the drawn images, it's the anime. This list is no good. We all shouldn't be surprised at this. This is a BS list in so many ways. I hope that this isn't a serious organization. Likely run by a bunch of Narutards. Plus, Kyle Herbert's Kamina over Stephen Blum's Leeron? Like I said, BS list. The list and last years list are completely ridiculous. I thought the American Anime Awards (what ever happened to that?) would be a popularity contest but compared to this, they even had a bit more of a healthy mix. This is a shameless example of why I don't really like viewer-choice awards. Only real worthy one is The Girl Who Leapt Through Time though why has it won twice? Same with Tsubasa, why are so many of these wining twice? One win should be enough. Why is it a bunch of anime from 2006-07? "The SPJA is a non-profit organization which purpose is to bring good anime into the light of the American public." Yea, they might want to rethink their purpose. All they are doing is awarding series that have been popular for quite some time. I have a few problems otherwise, but not because the awards were given to truly bad contenders -- I just think there were better picks out there. But aren't some of these series a tad old to be getting awards...? Or is this the first time this set of awards have been done? Thanks to Sugoi-Otaku for her help! Well, I'm not surprised at all. But this is 2009 vote right? So why da hell it's mostly 2007 animes? Anyway, Death Note earned all hype, so I don't see nothing wrong with it. Death Note? That's SO 2007. 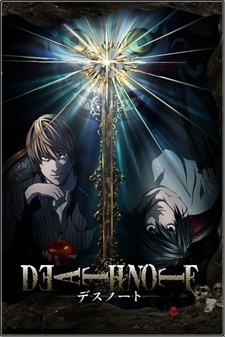 In my opinion there has yet to come an anime/manga that can beat Death Note. I wonder when. :D To be honest, I still can't find anything better than "Death Note". Out of the stuff I know, only Monster deserved to win. I haven't seen The Girl Who Leapt Through Time yet, but that's probably another good winner. "Forged in darkness with wheat harvested from Hell's half acre. Baked by Beelzabub; slathered with mayonnaise beaten from the evil eggs of dark chickens, force-fed to dogs by the hands of a one-eyed madman. Cheese boiled from the rancid utters of fanged cows. Layered with 666 separate meats from an animal which has maggots for blood." I'm disappointed. These awards mean nothing to me. What? Yamaguchi was good but Mamoru Miyano was one hundred times better. EHHH!?!? Yet another popularity vote. If you voice L, you win. I love Death Note, but putting some anime that aired during the last year would have been a little better still. And they shouldn't. Individual opinion != majority. I haven't even seen TTGL dubbed and I know that Steve Blum's VAing would be the best in the entire show. Lol weird awards... thou I'm happy for TRC (lol TRC as action XD) and Mokona, more for Mokona :P... But damn... These animes are good, but there are better.... Well I guess you gotta start with something new and proved before in the original country... but.. Oh well enough.. The statements made in this press release that are not historical facts are "forward-looking statements." These forward-looking statements are based on current expectations and assumptions that are subject to risks and uncertainties. The Company cautions readers of this press release that a number of important factors could cause Anime Expo®/SPJA's actual future results to differ materially from those expressed in any such forward-looking statements. Such factors include, without limitation, product delays, industry competition, rapid changes in technology and industry standards, protection of proprietary rights, maintenance of relationships with key personnel, vendors and third-party developers, international economic and political conditions. The Company may change its intention, belief or expectation, at any time and without notice, based upon any changes in such factors, in the Company's assumptions or otherwise. The Company undertakes no obligation to release publicly any revisions to any forward-looking statements to reflect events or circumstances after the date hereof or to reflect the occurrence of unanticipated events. you're talking about overrated, and then you praise Death Note? haha yea i can't blame you there. I will agree it's overrated but it's still a really well done series. It's just been blown out of proportion. Then again there's a ton of series that are good/great that are like that. Lets see the only anime that i've seen aired regularly is on AdultSwim in U.S. there are some channels such as spike or the sci fi i think that have some mecha animes on occasion... Adult swim usually just has bleach (almost every weekend from what i remember), Naruto most of the time, Inuyasha, Death Note, ... Code Geass R2 just started up again on Adult Swim. I think thats all I've seen as far as anime goes on television here in the states. Oh wait .. of course your Dragonball, and One Piece on the occasion. Then your simple Pokemon and other shows like that. lol, that's one of the most screwed up lists I've ever seen here. U.S. manga Charts included.